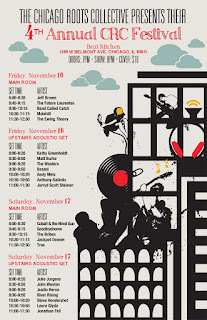 The 4th annual Chicago Roots Collective festival is set for this Friday and Saturday, November 16th and 17th, at Beat Kitchen. The lineup includes the Ewing Theory, Molehill, The Future Laureates, Jackpot Donnie, Cobalt & the Hired Guns and more. Full details are here. Late last month Rick Rizzo of Chicago's Eleventh Dream Day interviewed Chris Stamey of the dB's for the Chicago Reader. 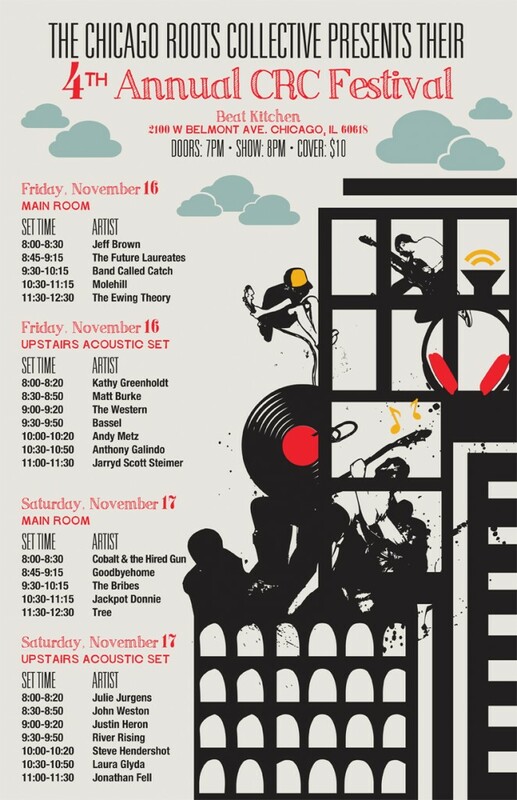 You can check it out now here, and see both Chris and Rick with their respective bands in town this month; the dB's play the Hideout this Thursday and Friday, and Eleventh Dream Day will take the same stage November 27th. ChicagoMixtape interviewed Adam Jennings of Winters in Osaka. Chicago band My My My are putting a twist on raising money to record music. On December 4th they will launch a Kickstarter campaign that will see them pledging community service hours to help improve Chicago for every $100 that's pledged to help them record. The campaign will coincide with the release of a new singe, "Starting to Change," which will also be offered with every pledge. Gapers Block has a review and photos of last Wednesday's Sharon Van Etten show at Metro.